Home, Homes made for birders. WELCOME TO BED & BIRDING! The only place on Earth where you will find Homes made for Birders®! Bed & Birding™ is a growing global-network of bird-friendly accommodation providers that have been carefully chosen in accordance with our service quality criteria. 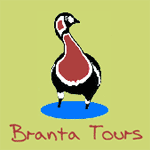 Whether for individuals, groups of friends or organised tours, every partner in our network offers an exclusive range of services and facilities specified by birders for birders. We aim to make your stay not only comfortable and memorable, but as supportive of your birding needs as possible: from on-site optical spares to libraries, expert local guides to log-calling lounges, bird-friendly surroundings to logistics – our extensive professional experience of bird touring means we know what makes you happy! And as a network, you can plan an outstanding birding trip safe in the knowledge that each overnight stay will accommodate all your birding requirements.